Che Dean's Phoblog: New work on the way! 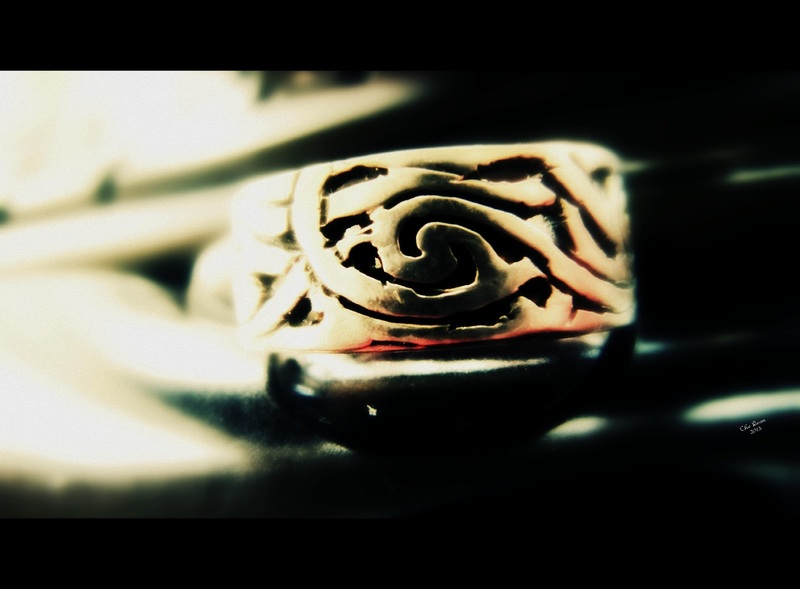 I've been playing around with both Snapseed on Android and Picasa on Ubuntu over the past while. And I've really been enjoying it and coming up with new ideas to share. It still amazes me how far we've come in just a short few years. Not that long ago I was one of the ones that said "You're always going to need a big powerful clunky desktop for art...Ggrrrrrrr!!!" but after using several of the Apps on my Android tablet I'm not so sure anymore. In fact, after using both Picasa on my desktop and Snapseed on my tablet, I find myself preferring to work on my tablet. If it had a few more features which I'm sure will come in time as the mobile devices get more powerful. Anyway, here's a few examples of what I've been playing around with. 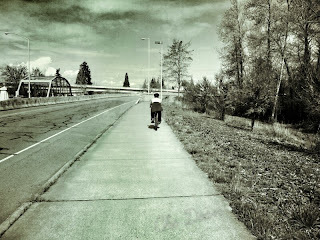 The first one is called "On My Way" and features my wife +Linda Dean it was edited using Snapseed on Android. I really love the way the trees and clouds turned out in this one. 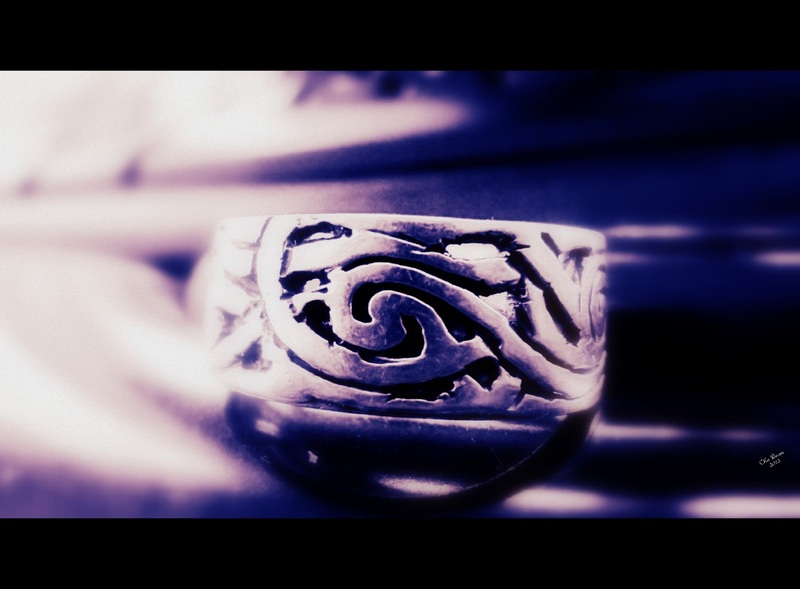 These next two shots titled "Game of Weddings 1 & 2" feature my wedding ring, it's a Dwarven ring in the style of The Lord of The Rings. I took these two shots by placing the ring on a gel pack I have sitting in front of my keyboard and then edited them using Google Picasa on Ubuntu. I'm finding it hard to decide which of these I prefer more, I really like both of them. The metallic sheen on the above image or the red hot glow on the ring in the below image. The glow gives the image more of a Lord of the Rings feel to it. The golden ring with the red hot glow gives it a really nice effect in the second image but the first has a more ethereal feel to it. I really like both and they show what can be done with simple Apps like Picasa.